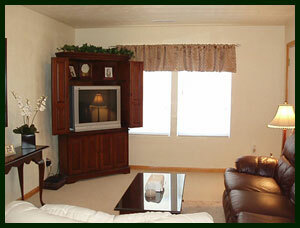 12 Month Lease Starting at $800 per month (water & sewer included) ASK ABOUT OUR MOVE-IN SPECIALS!! Rates are subject to change without notice. 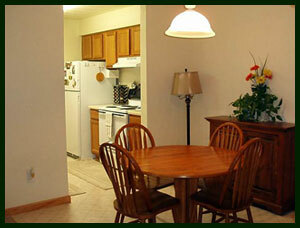 River Bridge Apartments does not qualify for EIC or other state or federally funded public assistance programs. Applicant must be at least 18 YOA or older. Applicant should make a minimum gross income of $2,000 a month. Submit a fully completed Application for Residency. Incomplete applications will not be processed. A $40.00* non-refundable application fee (per applicant) and a $100 deposit is required with application. *Submit application fee & deposit in the form of two separate money orders or cashier's checks, payable to River Bridge Apartments. No personal checks or cash accepted. Copy of most recent LES is mandatory for any military applicants. Copy of most recent pay stub is required with application. Copy of a valid drivers license is required with application. Copy of Military ID and/or State ID if applicable is required with application. Rental References required where applicable. Each occupant who will reside in the apartment that is 18 YOA or older must complete the rental application ans submit an application fee. Management will verify credit and criminal background of each applicant. Click here to download the rental application. Click here to download the PDF brochure for River Bridge. Adobe Reader is required to view and print the PDF documents on this site.